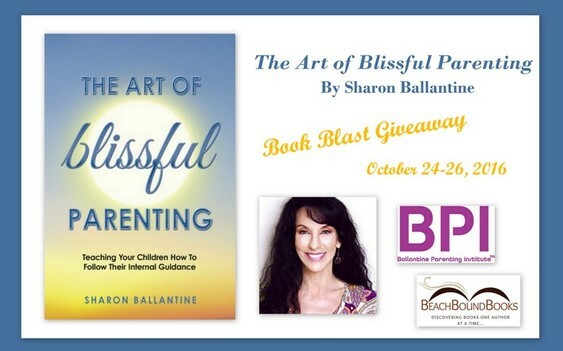 BeachBoundBooks is pleased to be coordinating a Book Blast for The Art of Blissful Parenting by Sharon Ballantine. The blast will run October 24 - October 26, 2016. Book Description: What if you had the ideal relationship with your children? This book is for every parent that wants to have a powerful bond with their kids. Parents have the opportunity for newfound freedom and joy when they teach their children about their Internal Guidance System. 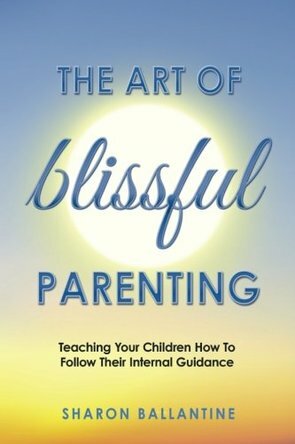 Tools and guidance are offered in this book for exacting the art of blissful parenting by practicing alignment. It's fun and easy to work with the Universe and a short lesson in the Law of Attraction is part of this script. Parents-live and also teach your children how to manifest what they want by thinking in a more positive way and deliberately creating their lives. Sharon Ballantine is a Parenting Coach and certified Law of Attraction Life Coach. She has successfully raised three children and is the author a new book "The Art of Blissful Parenting." Sharon is the founder of "The Ballantine Parenting Institute," her online parenting program. 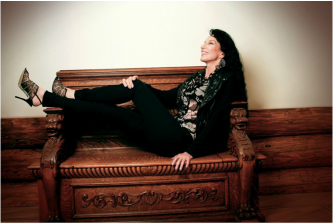 Ballantine is a sought after speaker, and was host to her own Internet TV Show with Conscious Evolution Media Network from 2013-2014. The platform of The Sharon Ballantine TV Show featured a conversation with passionate spiritually minded guests. Sharon also had her own column with Beliefnet.com "Parenting on Purpose." Sharon was interviewed on TV, February 15, 2016 for her new book release, "The Art of Blissful Parenting" on KING 5 New Day Northwest, a live daytime talk show in Seattle. Ballantine has been interviewed on several radio shows including Blog Talk Radio in Los Angeles, Chat with Women radio show in Seattle and Conscious Evolution Media Internet TV in Denver. Her interview with Hay House Radio will air by summer '16. Sharon's website is SharonBallantine.com which features weekly teaching blogs, podcasts and slideshows. You can see her educational videos on her YouTube channel, Sharon Ballantine. Sharon lives in the Pacific Northwest with her husband Jay. Terms and Conditions: NO PURCHASE NECESSARY TO ENTER OR WIN. VOID WHERE PROHIBITED BY LAW. A winner will be randomly drawn through the Rafflecopter widget and will be contacted by email within 48 hours after the giveaway ends. The winner will then have 72 hours to respond. If the winner does not respond within 72 hours, a new draw will take place for a new winner. Odds of winning will vary depending on the number of eligible entries received. This contest is in no way sponsored, endorsed or administered by, or associated with Facebook. This giveaway is sponsored by the author, Sharon Ballantine and is hosted and managed by Stacie from BeachBoundBooks. If you have any additional questions feel free to send an email to stacie@BeachBoundBooks.com.